Welcome to my build blog on the Ben Buckle Mini Super. I have decided to build this model from a kit, and I may use either Diesel or Electric power. 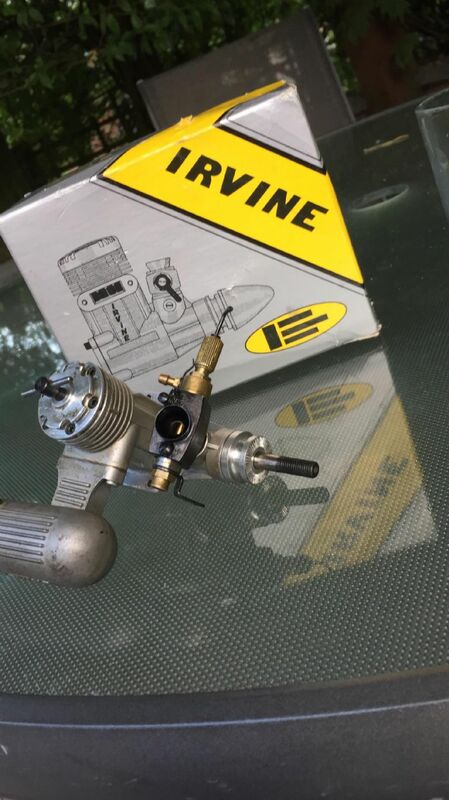 This depends on weather I deem my Irvine 20 diesel engine a good choice for this model. 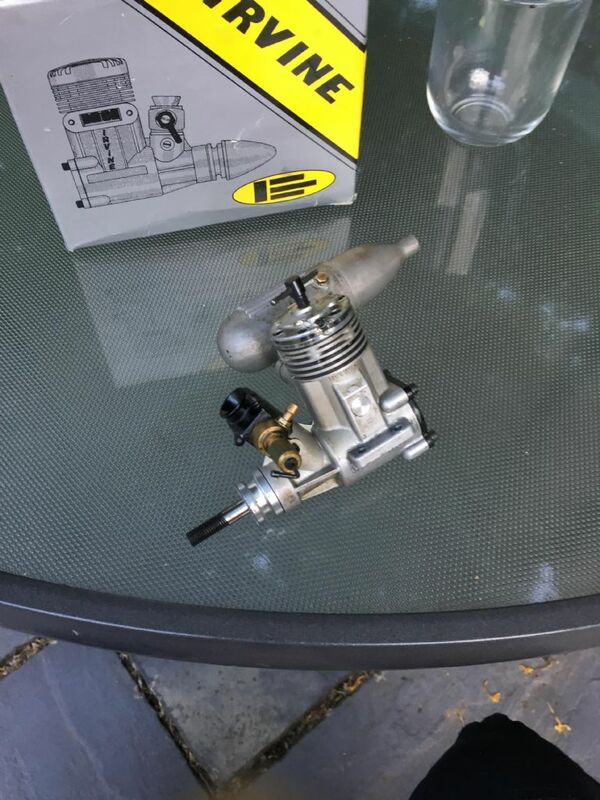 Ben buckle says that it is suitable for a 10-15 size diesel engine, and i'm not yet sure if a 20 is a stretch. Either way, the build will be rather self explanatory as is the way with most Ben Buckle models. It will be built as a 3 channel RC model with Diesel power or Electric. My past experience with Ben Buckle kits has been nothing but positive, so I am looking forward to the build. I covered the plans in decorators dust sheet from B&Q which provides a nice anti-stick layer in order to not join the model to its plans. 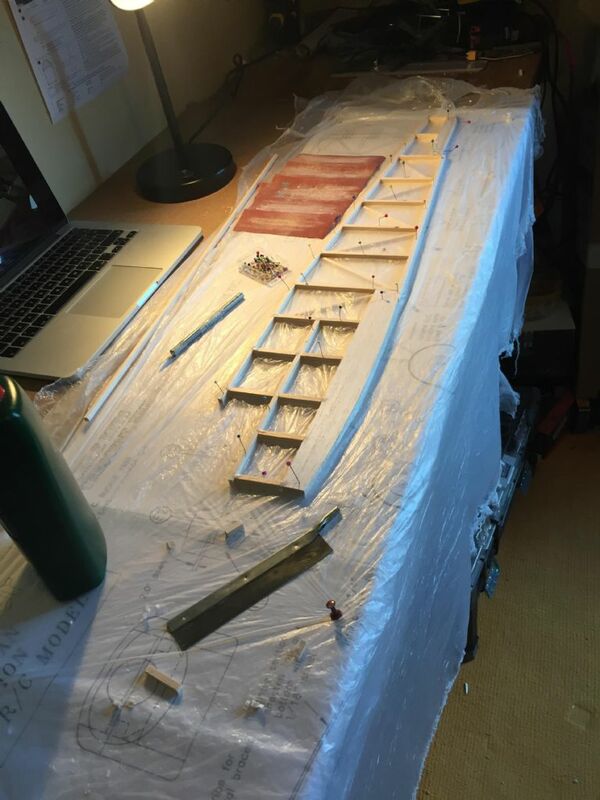 Then, I made up the bottom and top strip wood shapes that make up the outline of the basic fuselage side. After doing this, I began placing the longerons and the diagonals after that. 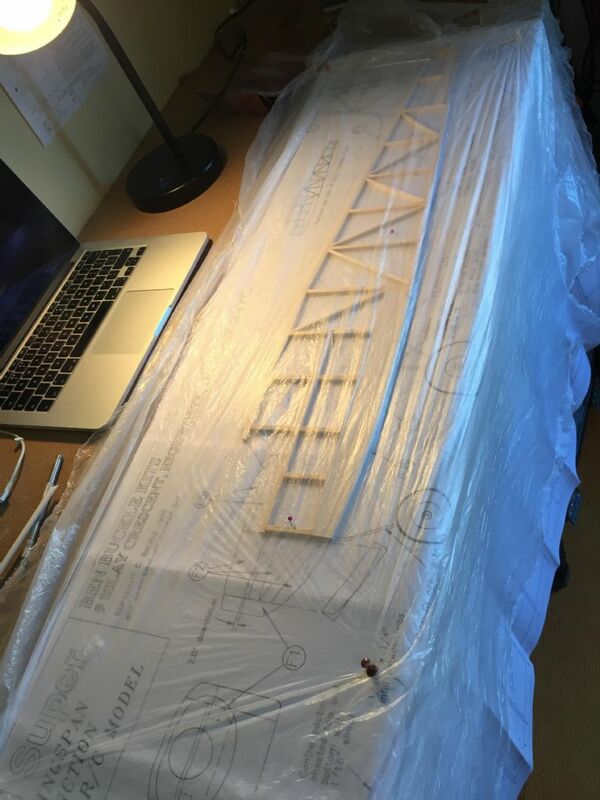 The fuselage side turned out nicely and did not stick to the plans. I now only need to make up some gussets which I will reinforce with ply as when I come to drill holes in them for dowels, I don't want them pulling through the balsa when elastic bands are on the model. 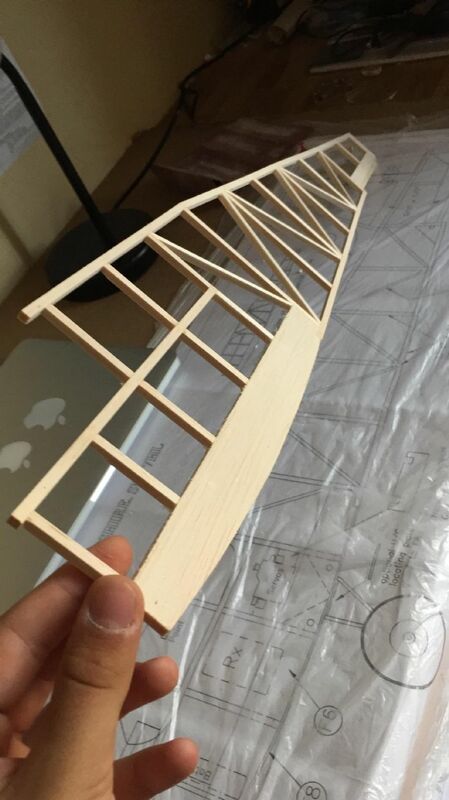 It's always good to see a model being built from scratch. The Irvine diesel is something of a rarity too these days. If you do use it once the model is complete Luccaaa, do be sure to use diesel compatible fuel tubing for the tank and plumbing. The silicon tube used by glow engines is not suitable for diesel fuel. I don't wish to seem over-critical Luccaaa, but it's generally best to leave partially built components pinned to the building board until finally complete. This can help to avoid warps developing in the structure. Even if the Irvine is slightly larger than the stated size for the model Luccaaa, you can always "waste" a little bit of power by fitting a large prop if you have the ground clearance. 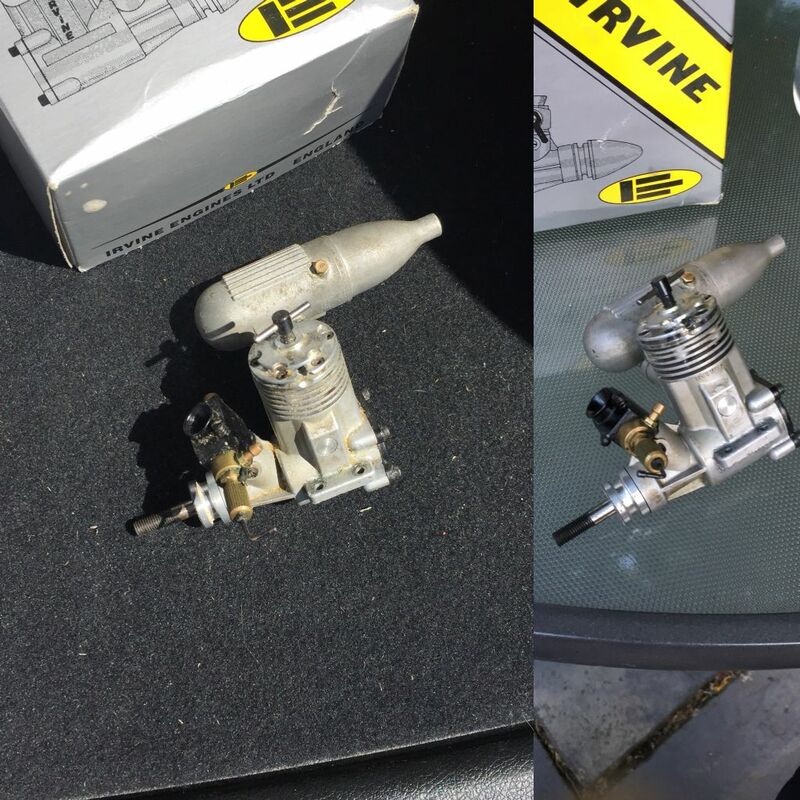 It does look like one of the earlier Irvines Luccaaa, possibly from the 80's. It has the older (read fiddly) style of silencer retention. When I constructed my Ben Buckle Super 60 and my Junior 60 I did indeed leave the fuselage sides pinned to the board. 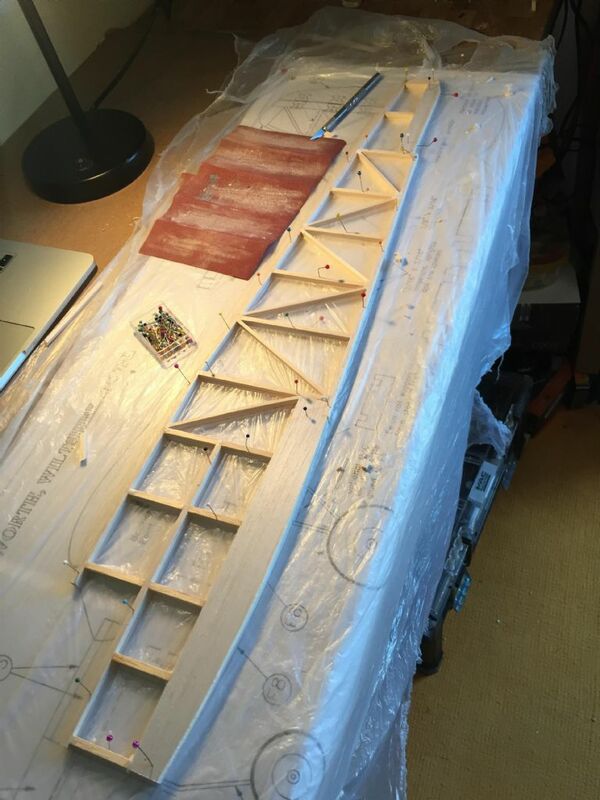 Then I also build the other fuselage half on top of the first to ensure they are identical. I plan to do this again for the mini super. I appreciate your advice on the warps, obviously you know what your talking about! However, the fuselage side came out very straight with no warps in it so there is no cause for concern just yet. Thanks for keeping me alert though, it certainly is helpful advice for future builds. I think it may be a Ben Buckle *thing* Luccaaa, but the BB kits I've built over the years have had very variable wood quality. And there lies the problem. 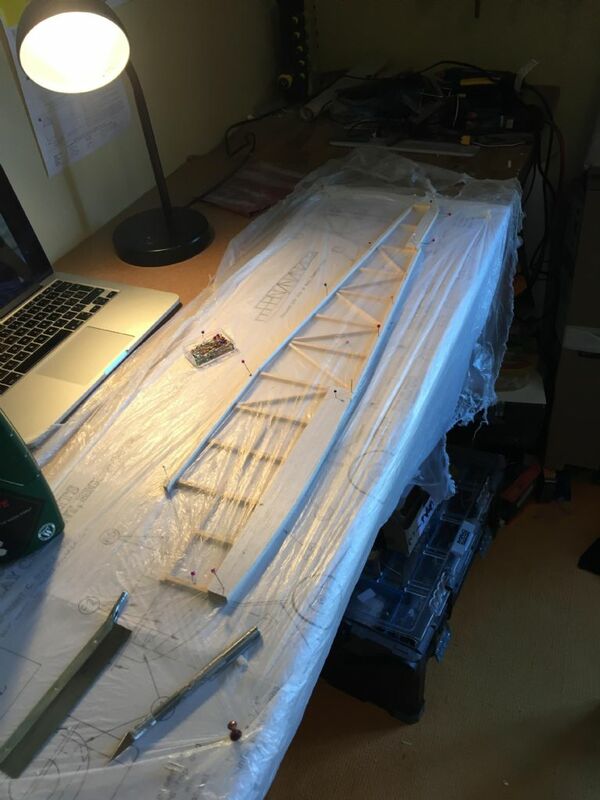 It's a recipe for warping if you happen to get - for example - one quite stiff longeron along with a much softer one built into the same fuselage side. It's an issue you seem aware of though Luccaaa, so I shan't dwell on it. Do you have a building jig Luccaaa? They're very useful. If you don't have one, then a simple straight line drawn on the bench can help. This would of course require matching centrelines drawn on the main fuselage formers. Once they're all lined up when joining the sides. it's probably going to be as straight as you might get it. I don't currently have a building jig, but I will certainly look into it for the future. Seems like you have had worse luck with BB kits than myself, all of the kits I have built so far have actually had quite good wood quality... Obviously Ben Buckle need to have a higher standard for their kits or at least a better supply of wood. 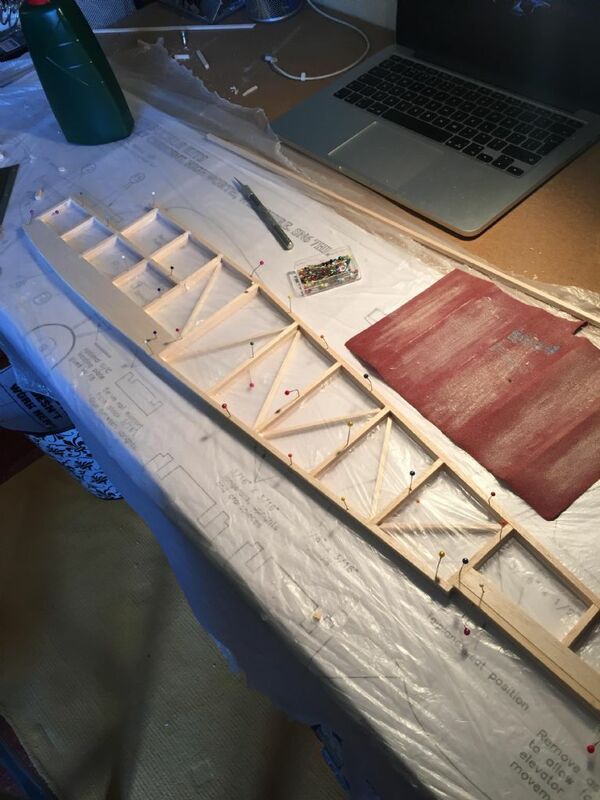 That being said however, with my Junior 60, I did indeed leave the fuselage side pinned to the bench when I made it and then built the other on top of it and it did warp slightly inwards. I sprayed the component with a very light coat of water and left it under a large hardback book overnight and that seemed to solve the problem. I just found some photos of my building jig Luccaa. It's an old Aerotek one, no longer available. There are others on the market though. Some people make their own. The thicker black line on the centreline of the board is the one used to line up the centres of the fuselage formers. Once it's all lined up, you clamp it all in place until the glue dries. One straight fuselage ought to be the result Luccaaa. The elongated slots you see where it says Fuselage Alignment Jig are for aligning the tailplane when fixing it in place. 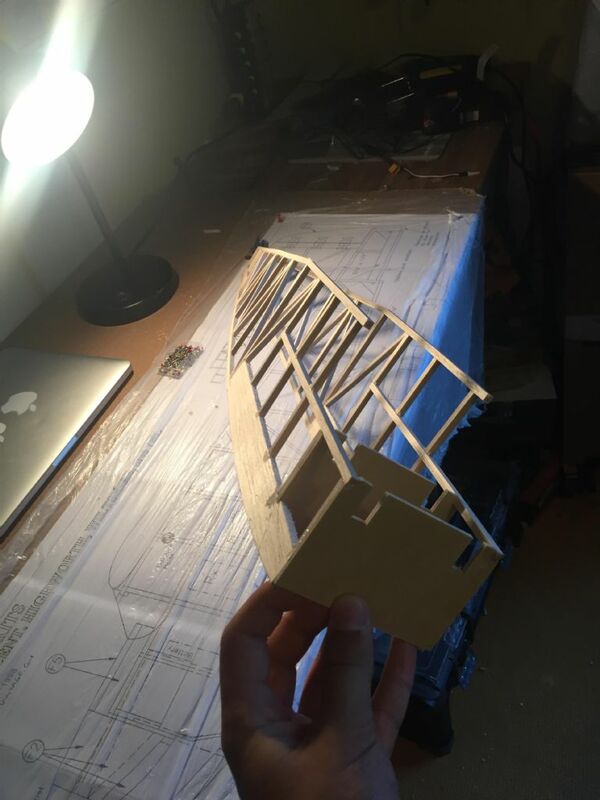 Threaded rods are fixed into the holes, The rods have small rubbers on the end, and it's this end which is placed under the tailplane and adjusted until it is absolutely level. Even a tailplane which is not fixed at zero degrees incidence can be catered for. A very useful bit of equipment to have if you build quite a lot Luccaaa. 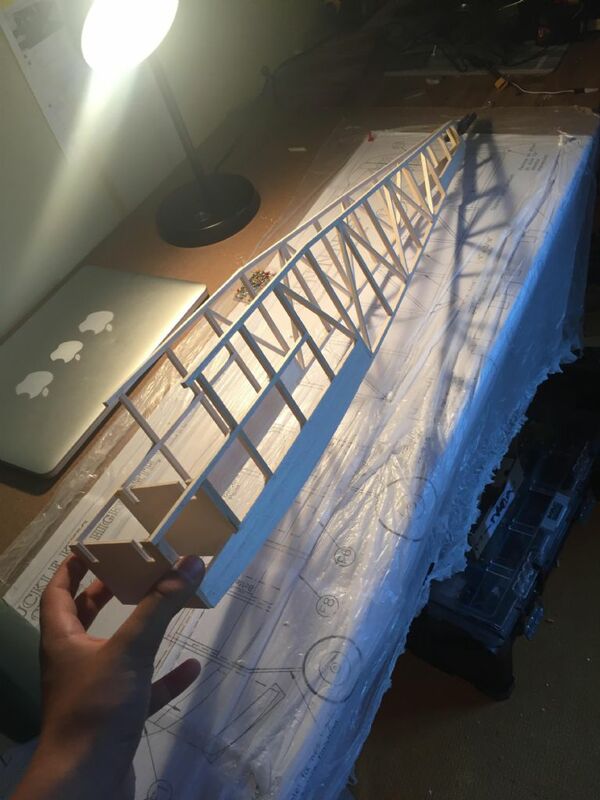 Nice straight build Luccaaa , following with interest. Looks like a very useful piece of kit Percy, I shall certainly look into one. I do build fairly often so that should help me quite a lot. 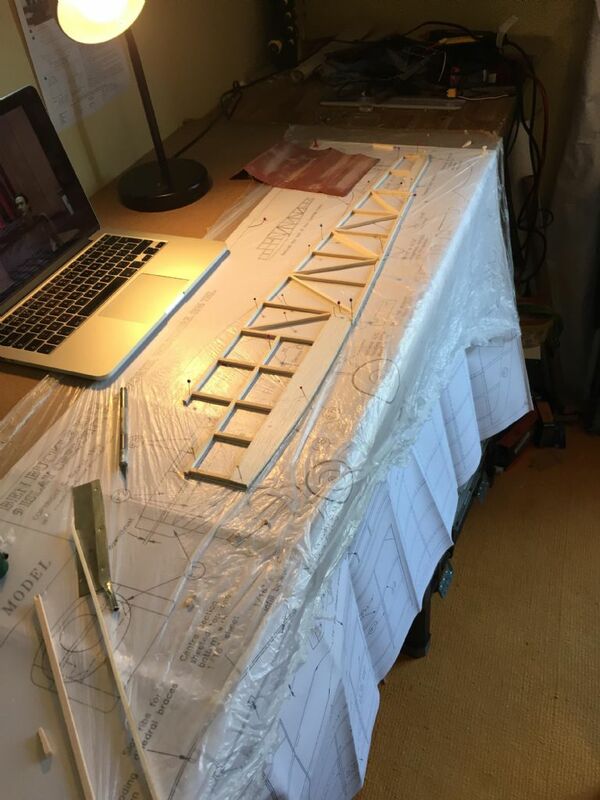 Hi Piers, thanks for the encouragement, I should be continuing with the second half of the fuselage some time later today (after I have been down to the flying field to take advantage of this wonderful weather). After a nice few hours of flying at the club I am back and building. 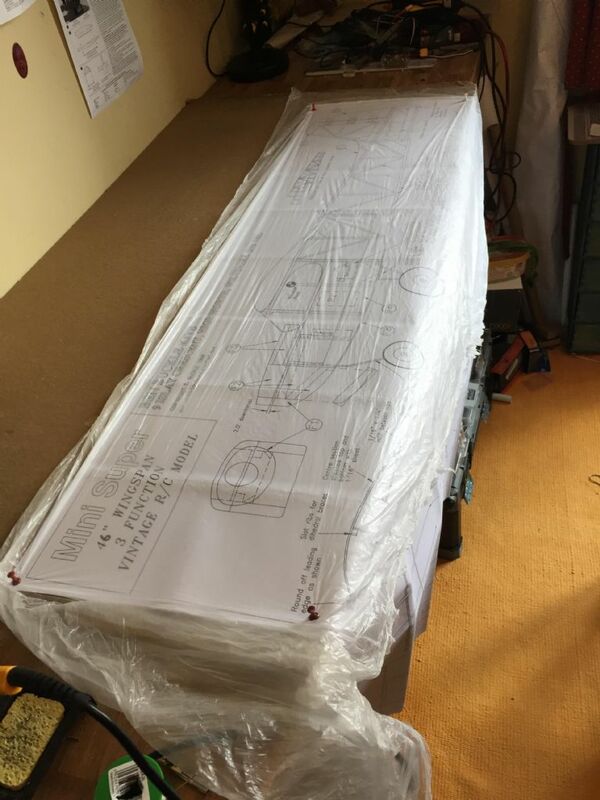 I have made up the second fuselage side and build it on top of the first side to ensure they are identical. I have used decorators dust sheet to separate the two sides and stop them being joined when the second was built. They are looking quite good and the second side came out exactly the same as the first. Now, I am just waiting for the glue to dry before I give both of the sides a sand round the edge to get rid of any anomalies in their construction. Perhaps later today I will have time to join the two sides, if not, I will attempt to do so within the week. Nice neat building board Luccaaa. If it were mine I think I'd move that laptop somewhere it won't get balsa dust in or near it. I see you are sanding virtually next to it. On the subject of sanding. As you do quite a bit of building, I'd seriously urge you to consider some Perma Grit sanding tools. They come in all shapes and sizes, and in various grades of abrasive. Once you have some, you really will wonder how you managed without them. If I moved my laptop then I wouldn't be able to watch Star Trek as I go! That is absolutely essential in modelling for me . I have indeed used proper sanding tools before and they are very helpful. This was simply just a piece of sanding paper I had near me, I only needed to take a small bit off a piece I cut. I am aware of the dust being relatively near the computer which is why I don't actually sand next to it. I simply had the paper on the desk when I took the photo. Ah right Luccaaa, I see now. I mentioned it because I bought a new laptop not too long ago, and know how much a half decent one costs! I have joined the fuselage sides by the two main formers at the nose and then pegged the tail together at the end. It has come out nice and square thanks to the assistance of a set square. Over the week when I have time I will begin to put in the other pieces connecting the two sides and then go from there. It's not looking bad so far, but that can change in a hurry!